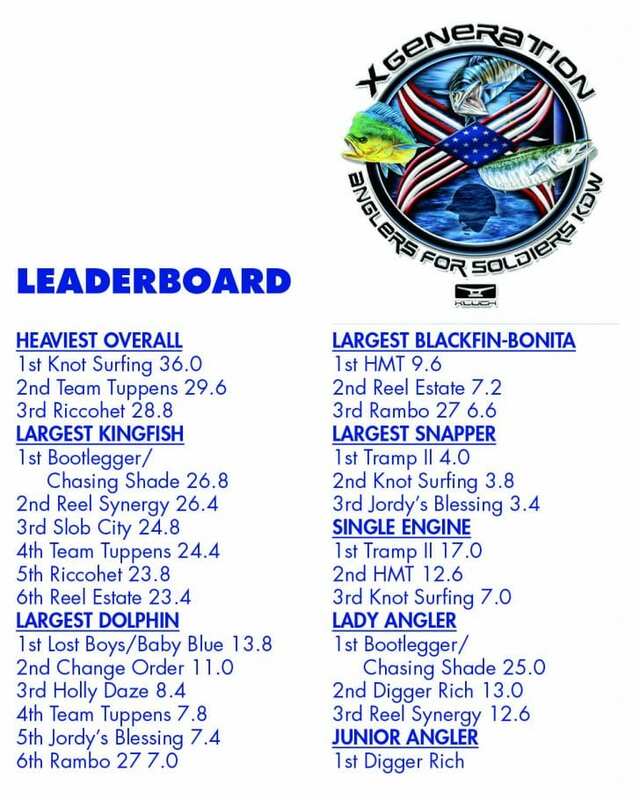 The XGeneration Anglers for Soldiers KDW at the Sailfish Marina in September was a top of the line inaugural event. The weather was so good that volunteers waiting at the scales did not see their first boat of anglers until 2-2:30. There were a lot of kingfish brought to the scale, a considerable number of dolphin but not a single intact wahoo. Several anglers reported wahoo that were lost at the boat. It seems that lately, any wahoo that hits the deck is assured to be a tournament winner! The event at The Sailfish Marina began with a Captain’s Meeting and kickoff party on Friday evening. Tournament fishing began with lines in at 6:30 am. 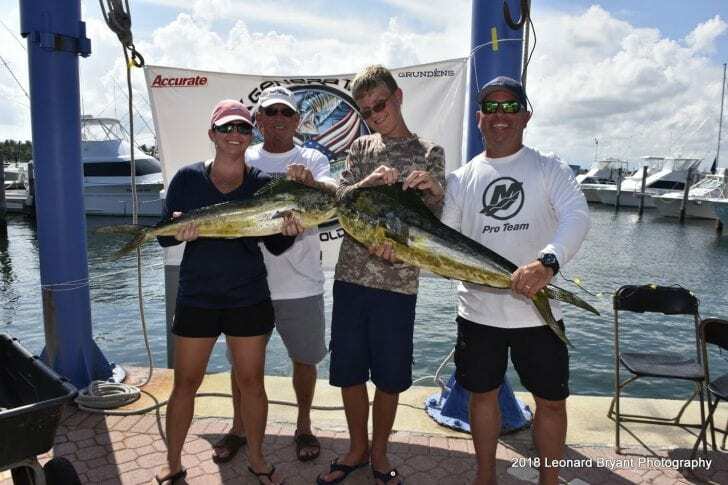 Scales opened for weigh-in at The Sailfish Marina at 1 pm. The awards ceremony and luncheon hosted by The Sailfish Marina was on Sunday afternoon. The Forgotten Soldiers Outreach, www.forgottensoldiers.orgwas the beneficiary of the event. 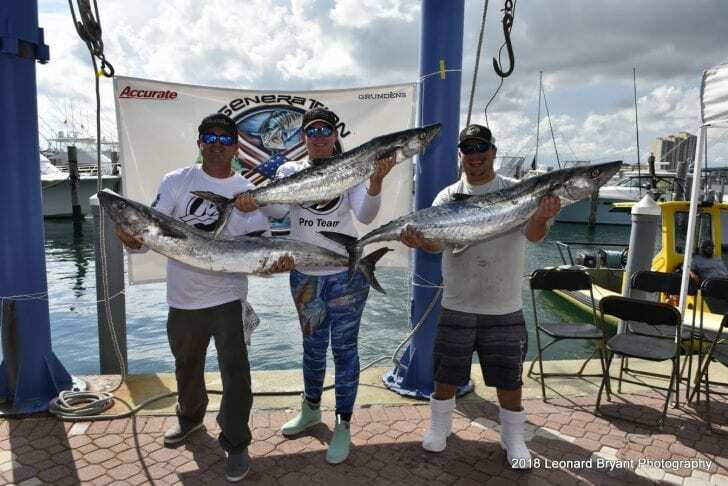 Andy Alvarez, owner of XGeneration and tournament organizer has already begun planning for next year’s event on September 20, 21 and 22 at The Sailfish Marina in 2019. He plans to cap the tournament at 100 boats, so sign up early and take advantage of the early entry of $200. Every entry before January 1stwill be awarded a $50 gift certificates for XGeneration. For more information on next year’s event, call XGeneration at 561.296.7637. Andy and his team of volunteers would like to thank The Sailfish Marina for hosting the tournament.